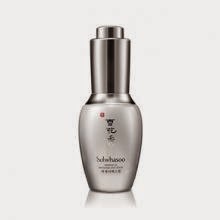 A spot serum formulated with traditional Korean herbs that relieves dark spots from its source, enhancing the skin's natural recovery. - White Ginseng Saponin suppresses the formation of melanin while it helps prevent the skin from forming dark spots. It does so by carefully maintaining healthy skin.